This wide-angle lens is appropriate for machine vision applications requiring a large field of view. The minimum working distance is just 20 centimeters. 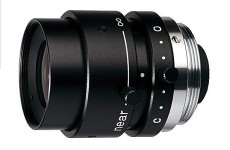 With a center resolution of 100 lp/mm and corner resolution of 60 lp/mm, this lens is an excellent value. Please contact us for more options.